What are the Los Angeles Lakers even trying to do? With Kobe Bryant coming off a six-game season, the Lakers entered the offseason looking to assemble a roster and coaching staff able to carry the team to the postseason through their icon's massive two-year contract extension. The result is one of the most confusing, seemingly dysfunctional squads in the league. Somehow, they look worse than the outfit that finished a lost season with the worst winning percentage in franchise history. 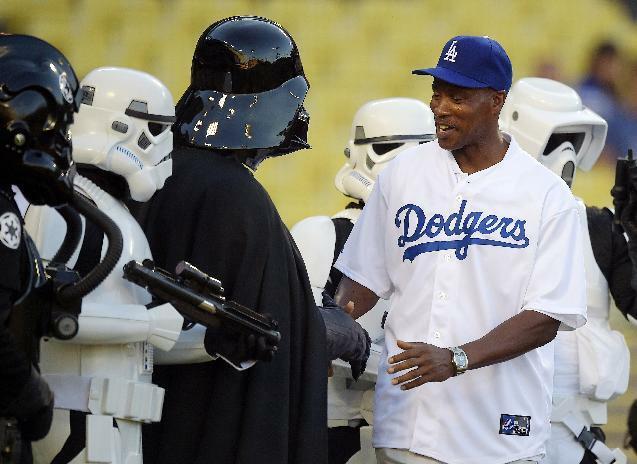 Bryant, as ever, maintains a major role in organization, even if he may not be controlling and limiting their options quite as much as some articles have claimed. Yet it's as unclear as ever how much Kobe can contribute on the court. After struggling to return from a torn Achilles tendon in 2013-14, the Lakers legend enters the year at 36 years old with questionable levels of athleticism and nearly a full season of rust to shake off. Kobe has proven himself able to persevere through periods of doubt before, but this situation is virtually unprecedented. It is no longer enough to assume that he will be one of most productive and dependable players in the sport. In part, that's because he no longer has anything approaching an elite supporting cast around him. Two years after the Lakers entered the 2012-13 season with a collection of Hall of Famers, the roster is made up of a collection of youngsters, castoffs, and players who would not receive nearly as much attention if they didn't play for one of the NBA's marquee franchises. In the backcourt, Steve Nash could miss 65 games without surprising anyone, trade pickup Jeremy Lin might not even close out games ahead of Ronnie Price, and Nick Young remains more popular with writers seeking pageviews than anyone with a coherent basketball ethos. The frontcourt is a little more positive if only for the presence of rookie power forward Julius Randle, an adept post scorer who could develop into a mainstay. But the lineup also figures to include amnesty victim Carlos Boozer, who contributed very little of value to the Chicago Bulls last season, and Jordan Hill, a perfectly serviceable backup big man who should never be asked to provide the entirety of a team's interior defense. The individual parts of this team could all be fine in the right circumstances, but none of them appear to be in that situation with the Lakers. Worse yet, L.A.'s new head coach appears to be putting his players in an especially bad situation in service of a misbegotten basketball culture war. Byron Scott has seen success in his 13-season coaching career, but he has never been considered the sharpest man on the bench. Not even that long history could have prepared us for his desire that the Lakers not shoot more than 10 or 15 3-pointers a game, a tactic that makes very little sense in today's NBA but even less for a team with few identifiable qualities beyond having lots of players who like to shoot. It's unclear what Scott brings to this team besides the memory of his playing career. Reconstructing the Lakers with a recovering Kobe was always going to be a difficult task, but general manager Mitch Kupchak (perhaps under pressure from management, for all we know) has assembled a team that has no governing philosophy. There could be worse teams in the league this season, but none figures to fail quite so spectacularly as the Lakers. An absolute mess that looks a lot better six months later. In isolation, most of the Lakers' offseason moves look passable, if not altogether fantastic. After dropping from sixth in the lottery odds to seventh in the draft, nabbing a polished offensive player like Randle represented quality value. Obtaining Lin made a lot of sense given the franchise's largesse (he'll be paid $15 million this season) and with the hope that he would serve as Nash's backup. It also helped that the Lakers got a 2015 first-round pick from a Rockets team desperate to open up cap space for Chris Bosh (whoops!). The Lakers had hopes of adding a superstar like Carmelo Anthony this summer, but that was always unlikely, so their failure to do so doesn't stand out as terrible. Bringing back Hill at $18 million over two years doesn't look like fantastic value, but it's not a full-on splurge with a thin market for big men and overwhelming needs on the roster. Davis still holds promise, especially at such a low salary. Really, the biggest issues appear to be bringing back Young for four seasons, no matter his status as the Lakers' leading scorer last season, and claiming Boozer off the amnesty wire when he can't help on defense and isn't anything close to the scorer he once was. Again, though, this team lacks vision and very few ideas that might eventually lead to a brighter future. Bringing in Scott at the end of July nearly ensured that the Lakers would continue to depend on Kobe as if he were his old self while taking few tactical risks. They approached the summer with the intention of putting together a playoff team, but that was never a reasonable goal. As such, the team looks even more irrelevant than it did a few months ago. When the Lakers drafted Randle, it became a running joke that Kobe would be demanding 20 points and 10 rebounds a night from him by December. That prediction appears to be right on schedule — Kobe has already stated that Randle can't mess up the opportunity in front of him (in so many words) and figures to be his usual demanding self. I'm not sure that Randle should be seen as any kind of "go-to" player immediately — he's not yet 20, after all — but the high expectations do have some basis in reality. Randle can be a beast in the post, earning comparisons to Al Jefferson and fellow lefty Zach Randolph during his lone year at Kentucky. The young power forward lacks prototypical NBA height or wingspan and figures to struggle defensively, but he can certainly score. If he has a solid season, then the Lakers can start to imagine their next contending team in some detail, however limited. A whole lot of things, really, but in an immediate sense it's very hard to envision the Lakers being a passable defensive team in any way. Last season's team finished 28th in points allowed per 100 possessions, a mark that might improve slightly simply because Mike D'Antoni isn't the coach. On the other hand, the Lakers are relying on Hill to be the team's defensive leader inside and have little else to help. Kobe has made plenty of All-Defensive teams over his career, but the last few have not been very well earned and there's no telling what he'll look like after coming back from so many injuries. On top of everything, the new power forward rotation led by Boozer and Randle presents an obvious gap in a unit that already had several. Things could get really ugly. Bryant has nothing to prove to the NBA world — he could retire right this minute as one of the top players in the history of basketball. Yet Kobe thrives on convincing himself that he has everything to prove, and this year just happens to provide him with more available reasons to do so than most. Most players don't come back from a major injury and a failed six-game recovery season. Of course, the Mamba has never seen himself as a normal player and believes he can be an MVP candidate once again. Does he still have enough burst to average 25-plus per game? Can he handle the burden of nightly expectations? Or will this be the season when his aura finally begins to dissipate? 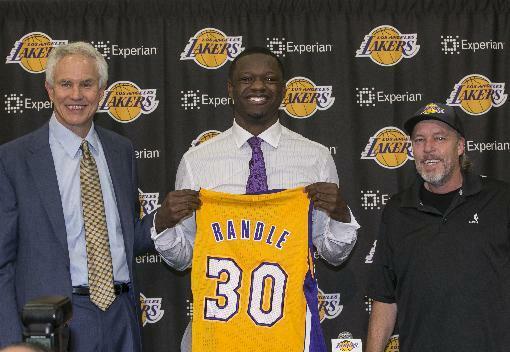 When the Lakers drafted Randle ... oh wait, I wrote this already. The truth is that not many Lakers look able to break out as steady contributors or achieve levels of success they haven't already. Lin may eventually prove himself to be a capable starting point guard (at least by this team's standards), but as of now Scott seems to have little faith in him. Boozer looks headed for retirement fairly soon. Guys like Young and Hill are what they are. The sad fact of this team is that Kobe, a player the fan base expects to star, is also the team's best breakout candidate simply because a conservative projection would not suggest he can be the same guy he has been in the past. The Lakers are light on options. Kobe provides enough star-level performances to provide an entertaining product, Randle looks headed for 10 years as a starter, and the Lakers are bad enough to win the draft lottery and find a next-generation superstar. Kobe looks like a shell of his former self, Randle never rises above the level of a rotation guy, and enough stopgap players do well enough to ensure the Lakers end up with another mid-to-late lottery selection.